Highland Paradise is pleased to announce that during the month of June, we will again be hosting the Annual Schools Cultural Competition. We would like to encourage all schools to prepare their students to enter into our sixth inter-school cultural competition to be held on Thursday 29th June, 2017. We would like to thank our recently confirmed sponsors for this event, Mark Short, for sponsoring a trophy for the Drumming category and Mii Pukeiti for the Ute category. Should your organisation or business be interested in sponsoring any of the competition categories please contact us, we greatly welcome and appreciate your generous support. As a living cultural and historic site in the Cook Islands, Highland Paradise is dedicated to the preservation and development of our Cook Islands culture. It is a key priority that these skills be passed on to a younger generation, and that they take pride in our unique past. 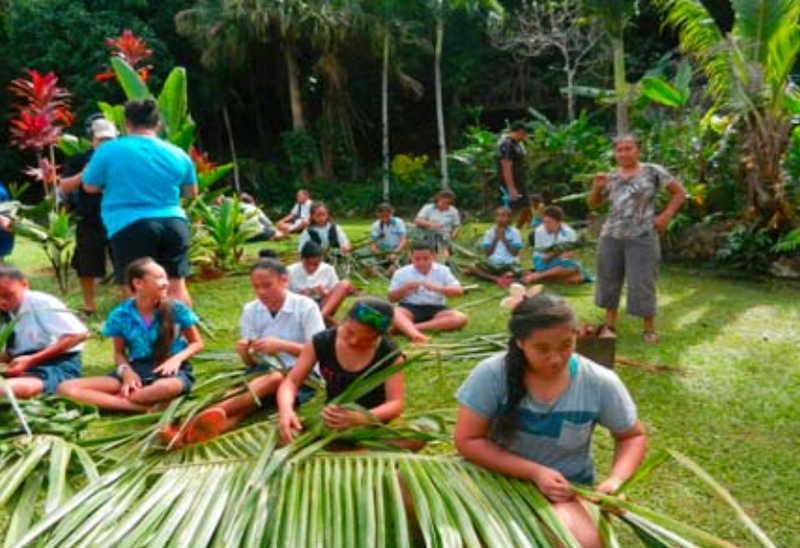 The breakdown of the judged categories include making an umu, weaving, coconut husking, story-telling, ute, drumming and ukulele playing. All entries must be received by Wednesday 31st May, 2017.